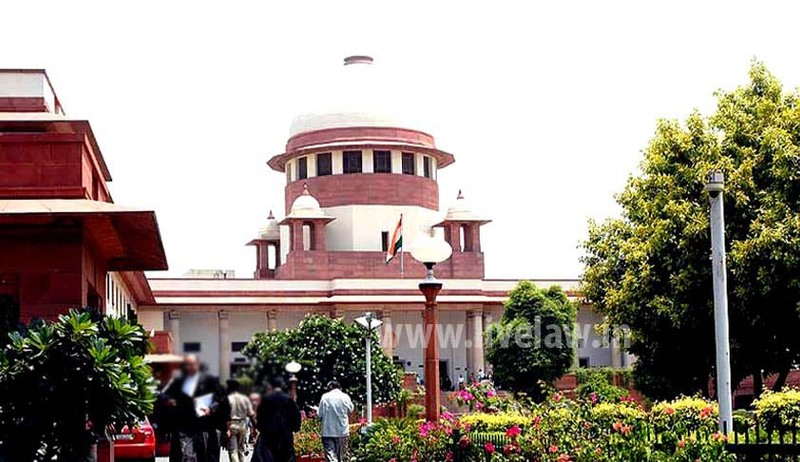 The vacation bench of the Supreme Court comprising justices Abhay Mohan Sapre and Ashok Bhushan, today stayed the transfer of police officers/District Magistrate in Kurukshetra, Haryana by the Punjab and Haryana High Court, in a habeas corpus case, accepting the plea of Haryana's counsel, Additional Solicitor General, Tushar Mehta. On 9 May, Justice Fateh Deep Singh of Punjab and Haryana High Court, in Tahir Hasan v State of Haryana, strongly indicted the Haryana police in the matter of killing and recovery of the dead body of the son of the petitioner. The high court noted that it was due to its intervention, the police admitted the murder and initiated subsequent steps to investigate it. The high court noted that the FIR registered against a few individuals speaks volumes of the apathy of the police in coming to the aid and rescue of an ordinary citizen of this country, a victim of brutality propagated with the connivance of the police. "Thus the conduct of the official respondents to this turn of events reinforces the opinion of this court that there has been unleashing of terror by certain vigilante groups so claiming to be repository of social order with the backing of local administration whereby they are not only circumventing the law but putting the State into anarchy and thus obliterating the rule of law....The state police has lost its credibility even by its self-contradictory stand that it had earlier set up in the Murthal incidents whereby this Court has taken a suo-motu cognizance of such state of treatment meted out to helpless women by such goons under political patronage under the very nose of the high ranking officials of the State." Expressing complete lack of confidence in the state police to investigate this incident fairly, the high court had handed over its investigation to the CBI. The high court also directed the CBI to register a fresh FIR if so necessitated, and to look into the roles of local police, including Superintendent of Police as well as District Magistrate and their subordinates including higher officials who are responsible for administration of the district of Kurukshetra , and who dubiously have looked the other way round throughout. To ensure fair investigation, and to ward-off any apprehension as expressed by the petitioner, the high court directed the Haryana Government to immediately transfer the Superintendent of Police, District Magistrate, Deputy Superintendent of Police, and Station House Officer, Police Station Shahbad, Kurukshetra district to a "far-off place at inconsequential posting within 15 days of the order, and ensure that they are not given postings where they could wield influence in the investigations and intimidate the witnesses and shall not be posted in this area till the conclusion of the trial". The High Court had also directed the Haryana Government to ensure that the so-called vigilante groups working under the garb of "Gau Raksha Dal" are not allowed to take the law in their own hands and to initiate immediately appropriate steps in this direction. Today, when the matter came up before the Supreme Court's Vacation bench, Tushar Mehta, alleged that the high court had transferred the investigation of the case to the CBI in so casual manner, although there was no allegation against the state police. "No court has examined our investigation, yet we have been castigated by the high court", Mehta put it before the Vacation bench. Mehta even sought a direction that the Haryana Police be asked to submit reports to the Supreme Court, on the status of the investigation. Justice Sapre, however, told Mehta: "There is no need to record such a direction. If you want to, you can submit a report." The grant of stay on the transfer of police and civil servants in Kurukshetra, despite strong observations by the high court against the state police, has baffled observers.